I was first introduced to Rebekah Lyons through her first book, Freefall to Fly. I remember weeping as I read through the pages, because even though I couldn't relate exactly to everything she experienced by overcoming her panic and anxiety, for some reason, her words deeply resonated with me. Rebekah's sophomore book, You Are Free: Be Who You Already Are is no different. Each chapter went deeper and deeper and brought truth through the beautiful art of storytelling. She simply tells her story, shares about all that God did in and through her as a result, and then challenges you, the reader, to consider how God could change, mold, and free you, too. 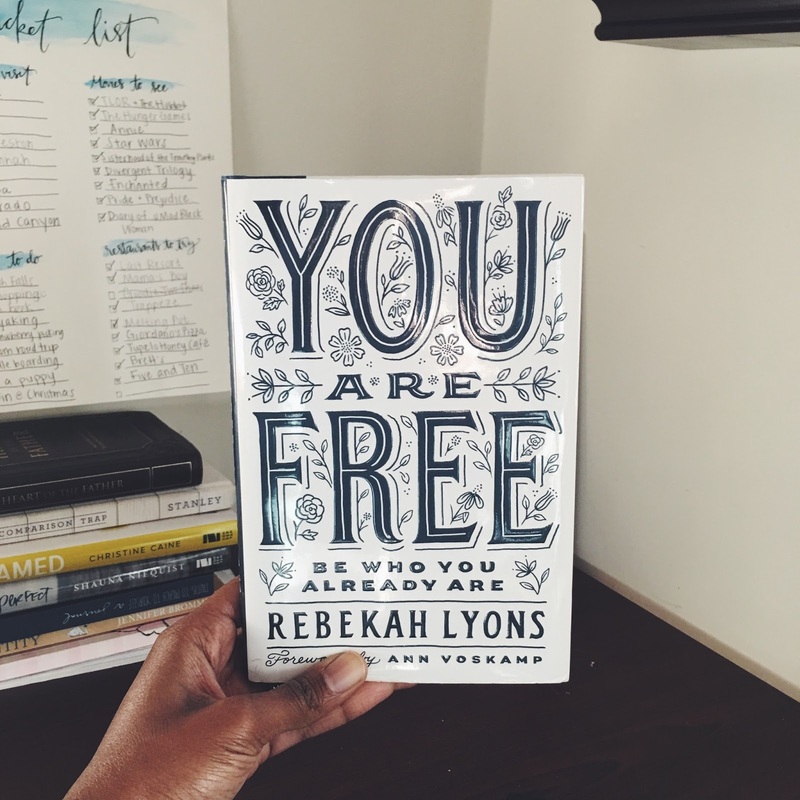 This book was like a warm hug, as Rebekah's journey to freedom helped assure me that we are all always in progress. I usually picked up this book in the evenings and would read it after a long day as I soaked in the tub, and it was sometimes my book that I read before bed. As an avid journaler, underliner, and highlighter of all the things, I'll definitely be going back to work through each chapter. With every chapter, Rebekah includes a few questions to consider. These questions beg you to dig deeper and be completely honest with yourself and with God. Growing up, I never understood my longing for approval was really an unquenched thirst for Jesus and his unconditional love for me. But Jesus came and rescued me in my thirst. He freed from anxiety, and now he wanted to free me from the spiritual weight of striving...This understanding was another step in my journey to freedom. I'd tried to quench my thirst for the goodness of God by drinking the world's water, but I could never get enough. The world's water only created more drought and famine. Instead, I needed learn a holier thirst, the thirst for the presence of God, for revival, for small ministry in the church. I needed more of his goodness, not more of the world's acclaim, and I hoped to carry this goodness to a world thirsting for the same thing. God was already walking with me into the goodness; I just hadn't recognized it yet. You Are Free invites the reader to taste more of Jesus. As Rebekah shares her journey from striving and perfectionism to knowing and loving Jesus more each day, you'll want a taste of the freedom she's got. I couldn't recommend this book more to anyone who is thirsty for more of Him.